Rasam can be classified as a South Indian soup.. It is usually served with plain rice but you can relish it like soup too. In South Indian homes it is made every day with a different flavours like garlic, shallots, ginger, tomato, pineapple etc etc... 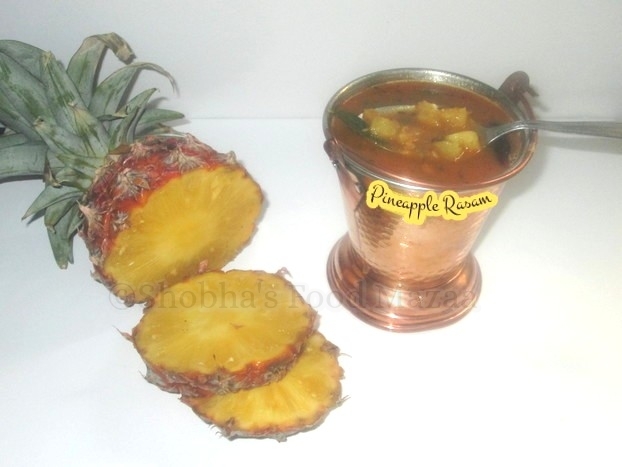 I had tasted the pineapple rasam for the first time in Hotel Sarvana Bhavan (Chennai) long time back when I lived there. The taste is really unique. 1. Cut one slice of pineapple into small pieces and grind the other one to a fine paste. 2. Heat oil in a pan and add the tempering ingredients. 3. When they crackle, add the crushed garlic and saute until it is fried. 4. 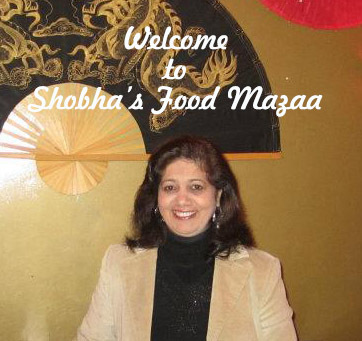 Now add the tamarind water and the cooked toor dal. 5. Tip in the chopped tomatoes and pineapple pieces and also the pineapple paste. 6. Season with salt, sugar, rasam powder and turmeric powder. 7. Allow the rasam to simmer for 4-5 minutes. 8. Add the coriander leaves. and remove from the gas. Wooow, I am not used to have rasam...But this sounds great!! How interesting. Sounds like it will taste amazing.. Next time, I will try it out.. Yes, must try it !